While some medications can be life-changing for alcoholics, experts say doctors are under-prescribing them, perhaps reflecting the lack of understanding about the true toll of alcohol abuse. Charlotte Grieve reports. 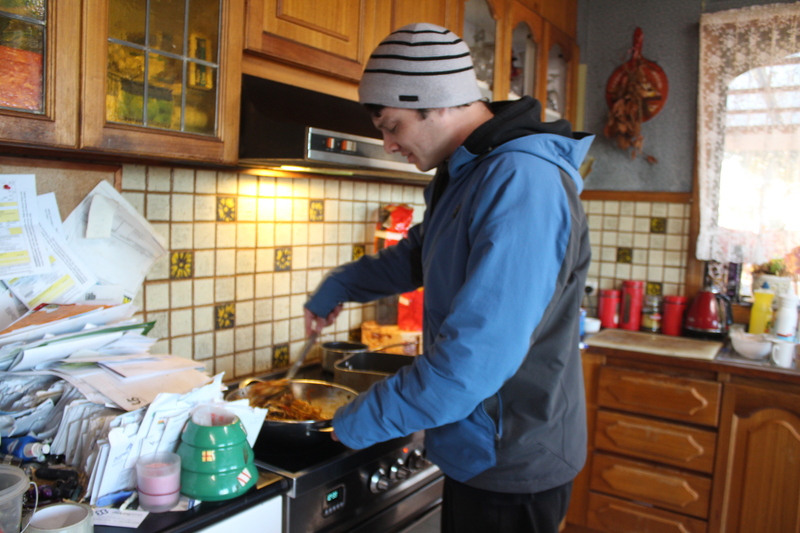 It’s Friday night in Kilmore and Adam Downie is cooking noodles for five. Honey, the overweight Labrador, looks on eagerly as the out-of-work chef tosses vegetables in a wok. When asked if this is an average Friday night, “it is now”, Mr Downie responds with a smile. The 29-year-old’s drinking has destroyed relationships and made it impossible to keep a job. After being escorted by police from his last role as a chef in Fitzroy, which lasted three days, he drank two bottles of vodka and ended up in St Vincent’s Emergency department, where he suffered an alcohol-induced seizure. Mr Downie is one of the 157,000 Australians who are treated in hospital each year for alcohol-related illness or injury. More than one in 10 emergency department presentations are alcohol-related. He’s been to rehab, AA meetings and sought help from countless doctors. But not once was he prescribed medication for his alcohol use. After turning to Google for answers, he made an appointment with the local GP to seek medication. “I went to my doctor and asked for Antabuse (disulfiram), but she had never heard of it,” he says. Disulfiram is one of three PBS-listed alcohol abstinence aids available in Australia. It’s designed to prevent alcohol consumption by inducing vomiting if the patient consumes alcohol. It’s not often prescribed in Australia, because of its adverse effect on patients. The Kilmore GP instead prescribed another medication, acamprosate calcium (Campral), which mitigates the brain’s reward system to reduce cravings and withdrawals. Mr Downie says that he almost immediately felt the effects, and they were drastic. “For the first time in my life it feels like I can actually change. I don’t even think of alcohol. “I can smell it, I can be around it. I seriously never even think of picking up a drink. I don’t know what Campral is doing but it’s amazing,” he says three weeks after starting treatment. Dr Shalini Arunogiri is an addiction psychiatrist who says that it is an effective treatment that is “well tolerated” by patients with little to no side effects. “There’s no reason that someone shouldn’t be given an opportunity to try it [acamprosate calcium or another drug, naltrexone] to see if it does work for them,” she says. Dr Arunogiri, a senior lecturer at Monash University, also works in an addiction therapy clinic in Richmond and often treats patients who have been referred by a GP. She says there are no requirements for such patients to see a specialist and that this indicates that doctors are not equipped with the right information. Professor Robin Room, a sociologist specialising in alcohol policy at La Trobe University, says that while medication is only one avenue for alcoholism treatment, Australia’s “normalised” drinking culture often acts as a barrier to doctors recognising the problem. This has resulted in GPs being more likely to prescribe anti-depressants in situations where their patients are drinking alcohol at risky levels. That’s what happened to Mr Downie, who was prescribed Apo-Mirtazapine after he attempted to commit suicide after an alcohol binge. While existing medication works for some, Dr Arunogiri says that there is a large sub-set of people for whom the medications do not work. While encouraging greater prescription of existing medications should be a priority, it was also “really important” to fund additional research into treatments for alcoholism. A new research project led by the Florey Institute is testing a drug typically used for insomnia, suvorexant, to treat alcoholism. Dr Andrew Lawrence, who is leading the research, says current treatment frameworks “are not working” at a population level. “When you consider that alcohol kills 15 Australians every day and affects 76 million people around the world, we really need a new way of tackling this devastating medical condition,” he says. By testing the sleeping pills on alcoholic rats, he has found they are less likely to relapse in both the short or long term. Sleep disturbance is a strong precipitant of relapse in substance abuse. Dr Lawrence says suvorexant could be another “weapon in the arsenal” of alcohol addiction treatment. The trial has been philanthropically funded to engage 120 participants in the St Vincent’s Department of Addiction clinic in the coming months. In the meantime, Adam Downie is focusing on his recovery and has plans to study addiction counselling at university. After checking himself out of rehab, Adam put an SOS on Facebook and is now living with family friends in Kilmore. He’s using art as a therapy alongside medication. Photo: Charlotte Grieve.